Travelshopa (www.travelshopa.com), the curated guide to the best local shopping around the world, has now launched in Australia to help consumers discover unique, local shopping experiences. The initial focus is on Melbourne and Sydney, before continuing to expand into other capital cities and regional destinations around Australia. Founded in Singapore by Australian Renée Lodens in 2013, Travelshopa covers 18 destinations (and growing), making it a global network of style conscious shoppers, emerging designers and independent retailers as well as industry professionals across Asia, the Americas and Australia. With a focus on fashion, furniture and homewares, Travelshopa provides a trusted platform for style conscious shoppers to discover with designers and retailers around the world through detailed brand profiles, thorough guides, exclusive interviews, stylish shopping experiences, and a unique online shop. Each of the Travelshopa destinations have been personally visited and curated by Renee to ensure that shoppers are presented with local insights and knowledge on where to shop, what to buy and who to know, saving them time and money. 'An authentic, local shopping experience while travelling can provide memories and stories that last a lifetime, not to mention unique purchases that connect you to its origin. But discovering these shopping destinations can be a bit of a guessing game," Renée Lodens said. 'I used to spend hours, sometimes days, researching destinations either before I went or while I was there. I realised there had to be a better way to find these experiences. I launched Travelshopa in 2013 after recognising there was no go-to guide on the best local shopping for style conscious shoppers." Renee has recently returned to Australia, a market she sees to have a lot of potential and opportunity domestically and internationally. Recent years have seen many top tier Australian brands being showcased at international events, being stocked by large global retailers, as well as global influencers and celebrities wearing Australian designer brands. 'There has never been a better time to help global shoppers discover Australian designers and retailers. Their work is innovative, creative and world class. Our platform will help shoppers get to know more Australian brands and have better shopping experiences in Australia." she said. Named one of South East Asia's hottest startups, Travelshopa speaks to an engaged audience of over 75,000 each month. Its largest and fastest growing audience (outside Singapore) is Australia where consumers are using the platform regularly to find out where to shop both at home and across the globe. Travelshopa's detailed platform and rapid growth has led to a number of accolades and big-name collaborations. In 2014 the site was named one of Singapore's Hottest Startups and was shortlisted as Best Startup SEA by Unleashed Awards. It has also worked with brands including MasterCard, PayPal, Four Seasons, Singapore and more recently, the Council of Textile and Fashion in Melbourne. Interview with Renee Lodens, Founder and Chief Experience Officer, Travelshopa. 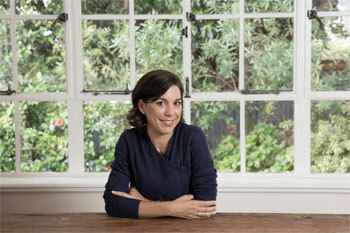 Renée is an Australian entrepreneur in the fashion and retail space. Passionate about supporting local designers and retailers, Renée spends her days championing local shopping all over the world. She founded Travelshopa in 2013 while living in Singapore and has since grown the platform to cover 18 destinations. Her goal is to connect local brands with global shoppers, her journey documented in interviews with BBC News, Sky News Business, TVBS and Harpers Bazaar Malaysia. She has also successfully secured partnerships with MasterCard, PayPal, Council of Textile and Fashion, Australia and more. Question: How did you turn your love of travel and shopping into a successful global business? Renée Lodens: Travelshopa was born from my love of travel and shopping. I wanted to create a business that would help shoppers have better shopping experiences. I identified a gap in the market for a go-to guide for local shopping around the world. For me there was a clear opportunity to help shoppers find out where to shop and to help local designers and retailers to promote their business. Question: How would you describe Travelshopa? Renée Lodens: Travelshopa is a curated guide for local shopping around the world. We bring together style conscious shoppers, emerging designers and independent retailers as well as industry professionals across Asia, the Americas and Australia. Question: What inspired the creation of Travelshopa? Renée Lodens: I was living in Singapore and travelling a lot for business and pleasure. I used to spend hours, sometimes days, researching destinations either before I went or while I was there. I thought there had to be a better way to discover the local shopping scene. I started out by visiting shops and shopping events to talk to business owners about how they promote themselves. From there I started blogging in 2013. I created shopping guides to each city and profiled lesser known brands. This content was unique and so shoppers and brands liked it. Things grew from there. And now we have guides, brand profiles and more to 18 destinations in Asia, the Americas and Australia. Question: How can we use Travelshopa? Renée Lodens: Travelshopa is a curated guide to the best local shopping around the world. I personally handpick each brand that is featured. It's a unique platform that brings shoppers and local brands together. We are looking for local designers and independent retailers across fashion, furniture and homewares. Shoppers can discover and get to know these brands through brand profiles, guides, experiences, and a unique online shop. We have 450+ listed brands growing daily, in Asia, the Americas and Australia. What's really unique about Travelshopa is that we have hundreds of shopping itineraries for all 18 destinations to help shoppers navigate and get local. Renée Lodens: I try to start my day at 6am with Ashtanga yoga – I aim for 3 sessions a week. This gets me focused for the morning rush with my two young children. After school drop off I get to the office and prepare my daily to do list, and respond to any urgent emails. I like to check website stats on a regular basis, review any social media posts, and monitor our weekly editorial schedule. From there the day usually unfolds with calls to my team in Asia, liaising with brands in any of our 18 markets, market research and check in's with my development team who are behind the scenes working to constantly improve our site for our users. Now that I am back in Australia I am also out scouring the streets, meeting amazing designers and independent retailers, and building our local content. I am really passionate about supporting local and this is why Travelshopa is so unique. Every destination on the site has been personally curated by me so the experiences are real and authentic. My evenings are usually filled with homework, cooking and time with the family. I fall into bed around 10pm and scroll through Instagram or Pinterest for about 3 minutes or read half a page of a book before falling asleep. It's crazy, it's fast, but I wouldn't have it any other way. Question: What advice do you have for women who want to start their own businesses? Renée Lodens: If you want it, start it. Give it a go. Ultimately if you immerse yourself in something, find your passion and purpose and accept that you are going to need to work really hard, you will achieve great things. Question: What's next for Travelshopa? Renée Lodens: We have just launched Travelshopa Melbourne and Sydney, so growing our content for both markets is the focus. We have 18 destinations on the site and the goal is always to continue growing this number so that we can help travellers all over the world enjoy better shopping experiences. Question: Where is your favourite place to shop in Sydney and Melbourne? Renée Lodens: It's so exciting to be back home after all these years and see how many destinations there are now for fabulous shopping experiences. I'm not sure I can pick one favourite but in Sydney I do love The Intersection and William Street in Paddington, Double Bay, and Precinct 75 in St Peters. In Melbourne I love downtown, South Yarra and Fitzroy. Renée Lodens: We have recently officially launched Travelshopa in Australia. The initial focus is on Melbourne and Sydney, before continuing to expand into other capital cities and regional destinations around Australia. There has never been a better time to help global and local shoppers discover Australian fashion designers and retailers. Their work is innovative, creative and world class. I am thrilled to be back home to introduce my global network to an amazing array of Australian brands and shoppers worldwide. I am also working on some very exciting partnerships, which will enable us to inform more shoppers about where to shop local in our various destinations. Renée Lodens: Never ever give up.